The sound of an alarm going off is the actual worst, am I right? So when the changing of seasons means the air is chilled, it’s still too dark to do anything, and you’re all snuggled up in blankets, chances are, you’re going to be late for wherever you’re supposed to be because hitting SNOOZE just feels right. 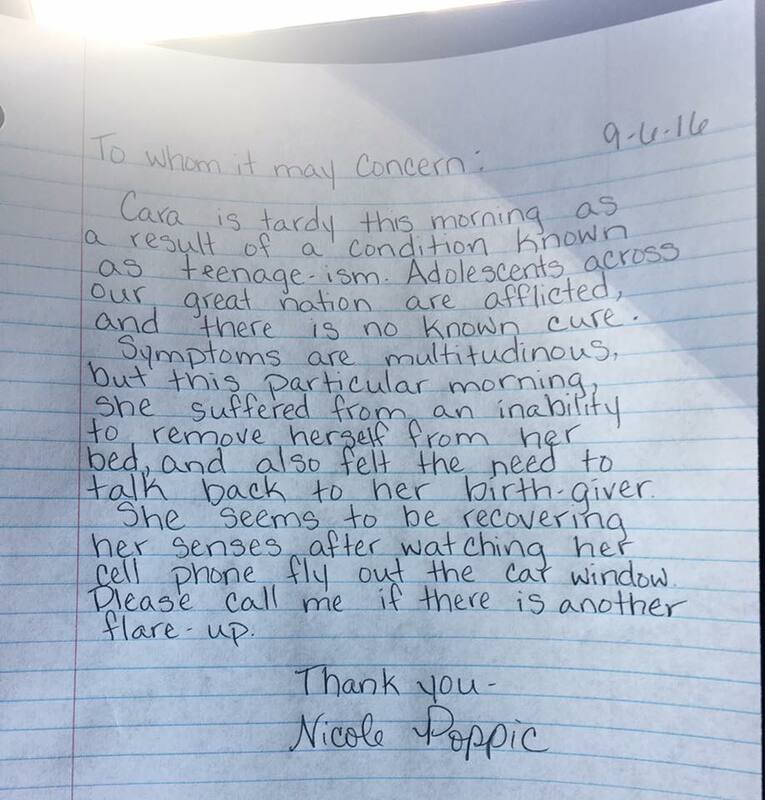 This recently happened to high-schooler, Cara Poppic, when she overslept on a school day and mom, Nicole wasn’t thrilled. "When we finally got in the car and I looked at the clock and realized that we were running late, I started doing the 'mom' thing," Poppic said. "My lecture went something along the lines of, 'You need to start thinking about other people, Cara. You are not the only person in this family, and you made your brother and sister late, too." Of course, as mom talks usually go, Cara wasn’t really into hearing this so she put on her headphones to tune everything out. That’s when things took a turn. "That is when I saw that Cara had put in her headphones and was staring out her window, completely ignoring me," she said. "I reached over and took her phone off her lap, unplugged her headphones, and threw her phone out the car window." I can hear the collective cries right now, but it’s cool — the phone was completely fine when Nicole later when back to retrieve it. As if that wasn’t punishment enough, she went above and beyond in both taking the other two children to school first, then writing this hilarious tardy note to Cara’s school that’s now gone viral. In the letter, she attributes Cara’s lateness to the condition known as “teenage-ism” and we’re totally applauding her! If you’re wondering how Cara felt about the whole situation, she was obviously a little embarrassed about how it made her look, but in the time since, they’ve laughed about it. "Parenting a teen is both challenging and rewarding," she said. "Watching Cara grow and change brings great joy to my life, but with that growth, there have been growing pains." We feel, you, Mom. Parenting (and growing up) is hard but trust us—you’re rocking it.